Investing can be a serious endeavor and it helps to have a qualified corporate law firm at the ready to help you make wise decisions. As the world of financing becomes ever more complicated and complex, it becomes more difficult for the average person to understand what’s happening financially in their locality. This article aims to show how municipal bonds work in relation to the investor. Because of the economic meltdown of 2009, many investors are playing it safe by protecting their money in low risk bonds and employing the assistance of corporate law fims. Essentially, a bond is an investment in a company that’s looking to expand, or in terms of the government, to pay for public services like roads, or bridges. Bonds are designed to be a win-win for both the investor and the investee. Here’s how it works. Let’s say that Company X wants to expand and needs capital to do so. Rather than going to a bank for a standard loan, Company X can sell bonds to investors to acquire the money needed to move forward. The amount of money being loaned is known as its “face value” and in case of Company X, it’s $2,000. After the investor has received sound advice from a corporate law firm, he/she provides the $2,000, and receives what’s known as a “coupon” which is the interest rate on the loan. Let’s assume that the interest rate in this scenario is 6%. Lastly, bonds have a finite amount of time to be paid back to the investor, known as the bond’s “maturity time” which could be any number of years. For this case, let’s say that the maturity time is 5 years. So an investor loans $2,000 to help Company X expand with a 6% coupon that lasts for 5 years. After some quick math, this is what we come up with. After 5 years, the original $2,000 is paid back with an additional $600 (6% x $2,000 = 120, 120 x 5 years = $600). This is how the bonding process works and is considered, in the investment world, to be conservative. A state, or municipal, bond works the same way only instead of a private business, like Company X, asking for a loan from investors, it’s the municipality instead. Municipalities, or any entity within the state level such as a city, county, seaport, airport, etc., sell bonds to investors to improve upon or develop projects. These finances are generally secured through revenues and may be tax exempt and traded publically without limit. Bonds are seen as low risk investments meaning that there isn’t a large amount of money to be made but you will make money. 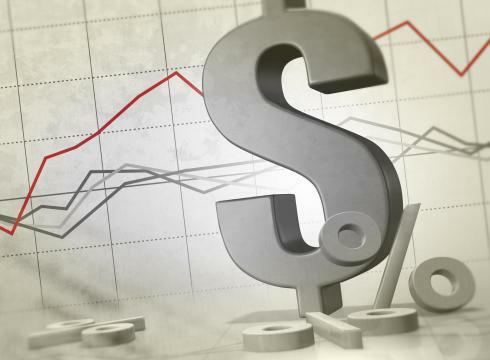 Rather than investing $2,000 and risk losing it entirely or gaining a return of $4,000 like you could in the higher risk stock market, a bond will yield a return closer to the $600 noted in the previous example. But the advantage to this is that you’re much more likely to receive $2,600 in the bond market rather than $4,000 in the stock market. In Las Vegas terms, bonds are like nickel slots (low risk, low return) and stock market investing is more like black jack (high risk, high return). Even though bonds are considered conservative it always help to acquire sound legal advice from a corporate law firm to ensure that you’re making the right decision. This article was written by Roger Brent Hatcher, a corporate finance lawyer at Smith, Gilliam, Williams & Miles, a leading Atlanta Law Firm since 1928.